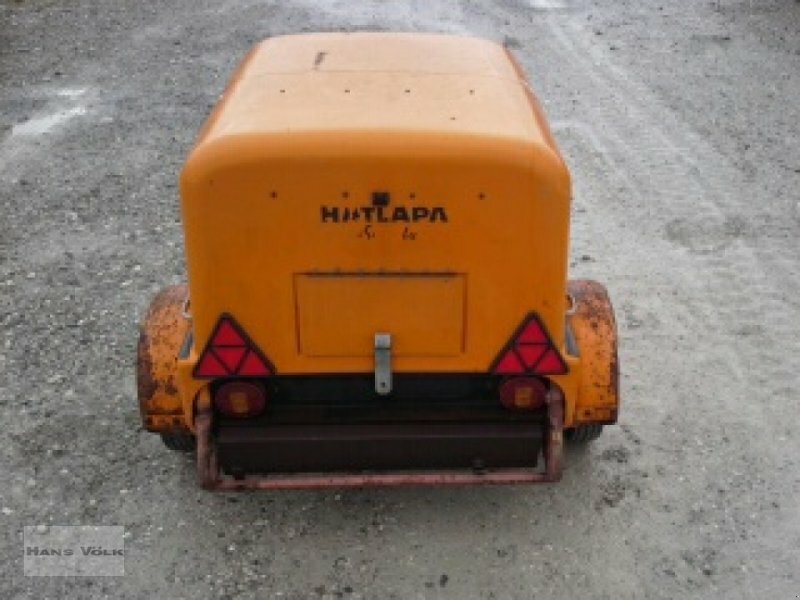 I am looking for a manual or some idee to where the air pipes are running on a Hatlapa compressor. I have googled, but no luck so far, only on the later models. Yes, that is the one with the 2 air cleaners. Another way could be to look for make and model of each controlling device, search for info and take it from there. The pressure regulator would control the unloader valve which releases pressure from compressor's head when tank reaches max pressure. Like on a truck's airbrake system. Unloader valve could be on compressing-head where it prevents inlet valve from closing, or a device inline between tank and head. 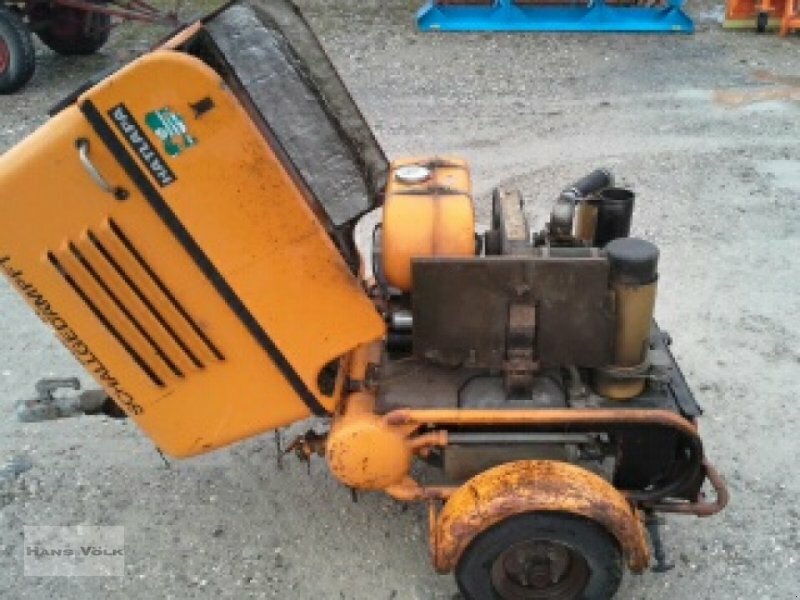 Unloader valve might also act when engine is stopped, to ensure easy starting. 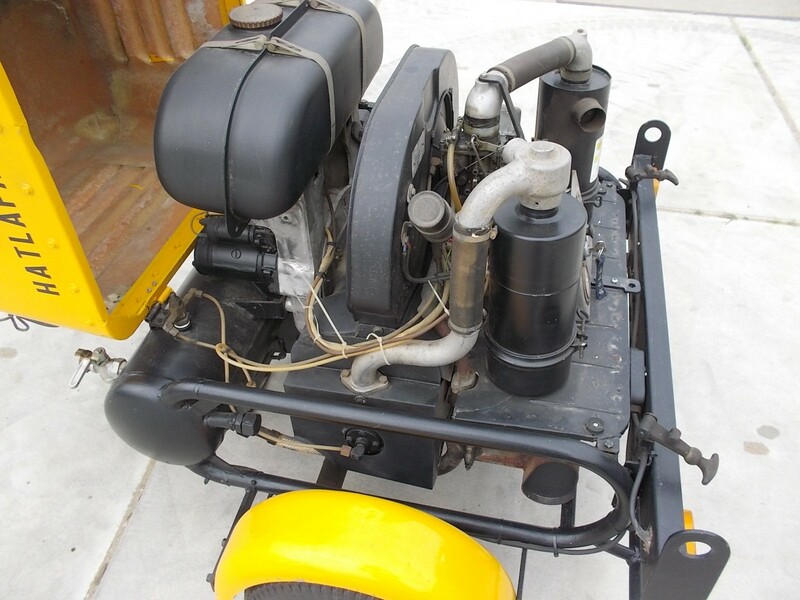 Speed regulator might simply be controlling the throttle according to tank pressure. 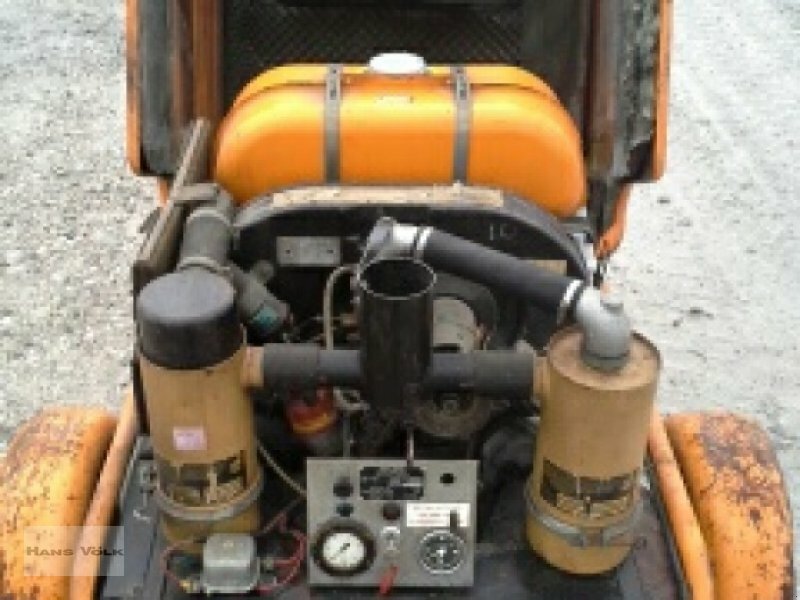 On image 2, there is an airpipe running from the head, which is connected to the dump vale when it reaches the right pressure, where does that pipe go to, you can see it runs past the left side aircleaner till behind the control panel. Where does that connects to.